The BBC has launched the first stage of a new look that will roll out across BBC outlets. Starting with the BBC Sport website from today, and rolling out on TV from Saturday, covering programmes such as Football Focus and Match of the Day, the new look BBC Sport will ultimately cover all aspects of graphic design including on-screen graphics, such as scoreboards, online news articles and the appearance of the BBC Sport connected TV app, in the first major overhaul of BBC Sport's look in seven years. The new look is based on the newly introduced typeface BBC Reith, which the corporation will be rolling out across BBC services in the coming months and years. 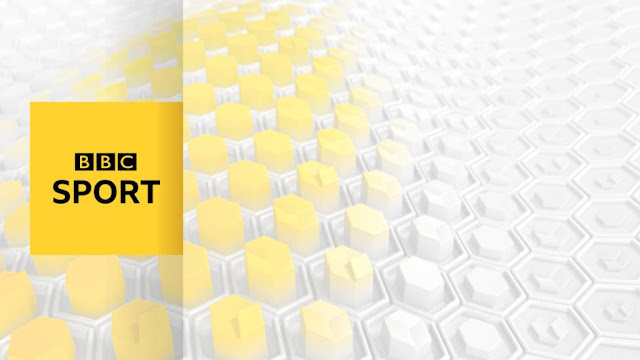 Additionally, the yellow tones of the BBC Sport brand have been revised. Earlier this year, sports news bulletins from the BBC Sport Centre in Salford was given a refresh to be ready for the changes now taking place. "Over time, the new font will start to be used right across the BBC (though the BBC blocks logo itself won't change) and all our broadcast and online output. We’ll be doing this gradually. Where there is little cost to make the change - such as text on our website - we’ll do it as soon as we can. But we’ll only replace things like signs when they’re worn out or need replacing anyway to avoid extra costs." The move to the new typeface / font* is expected to save money in the long-term. While most home users are used to having access to a range of free fonts on their computer, commercial use of typefaces / fonts is subject to licensing fees, with extra fees demanded if the end-user wants to use them digitally or on-screen, often with different licensing fees levied depending on how many users access a website. By creating its own typeface, the BBC seeks to avoid these ever increasing costs. Commissioning a bespoke typeface is nothing new: the ubiquitous Times New Roman was originally commissioned for The Times newspaper. News of the new BBC Reith typeface was leaked on Twitter earlier in the year, and followed by promotional material for Sports Personality of the Year appearing with the new typeface. On Monday, a documentary on typefaces shown on BBC Four officially introduced BBC Reith to viewers for the first time. Apart from CBBC and BBC Three Online, which were completely revamped last year, the presentation of other parts of the BBC has changed little in the past 5-10 years, with BBC Two even reverting to idents from the 1990s. Critics have noted how the BBC's overall presentation has become disjointed and inconsistent compared to the likes of ITV and Sky (before Sky Sports got a different look). ITV, Channel 4 and Sky have their own bespoke typefaces, meaning they can deploy a common look across all outlets without worrying about paying additional licensing costs when a new digital service or app is launched. The new typeface is expected to provide an opportunity to bring a new common feel across BBC services. How the new look will be implemented across its services and departments, such as BBC One and BBC Weather, remains to be confirmed by the BBC. *While most people use the terms typeface and font to mean the same thing, some designers point out that the term "typeface" refers to a particular design of type, while a font is a type in a particular size and weight.